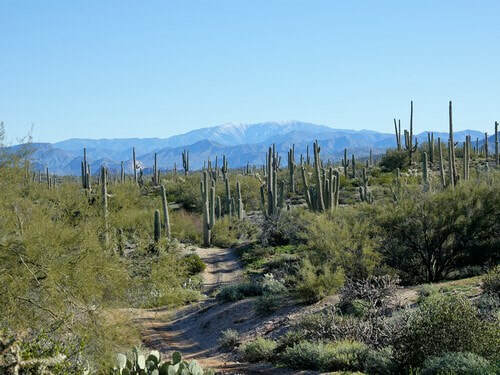 This is an easy, relaxed Jeep trail through lush Sonoran Desert vegetation while enjoying great scenery, and there is even a chance to play in the Gila River, depending on water flow. 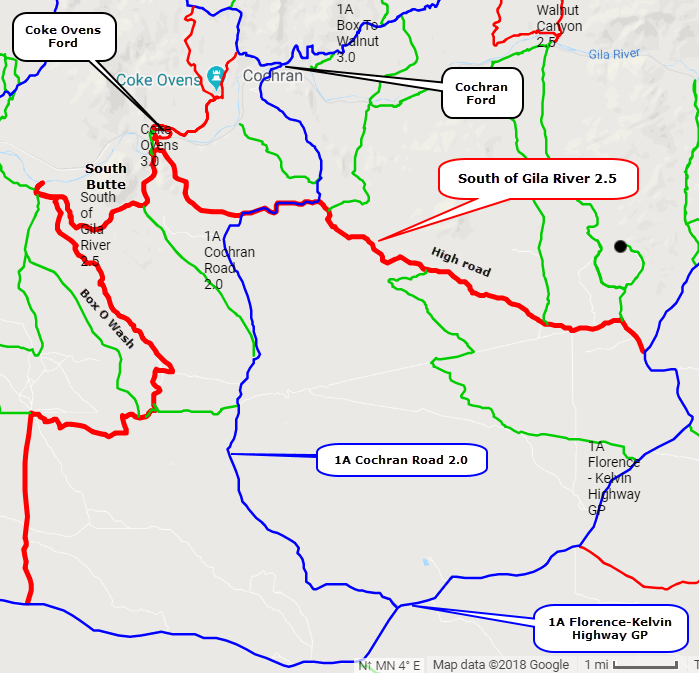 Access to this area is the Florence-Kelvin Highway, but the Gila River can sometimes be forded to access this area from the north. 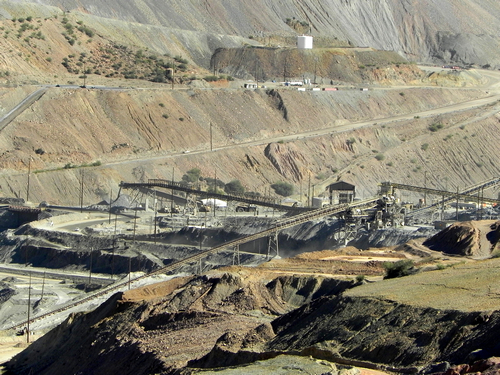 The water flow should be 350 cfs or less at Coke Ovens Ford – the flow should be less than that at Cochran ford. 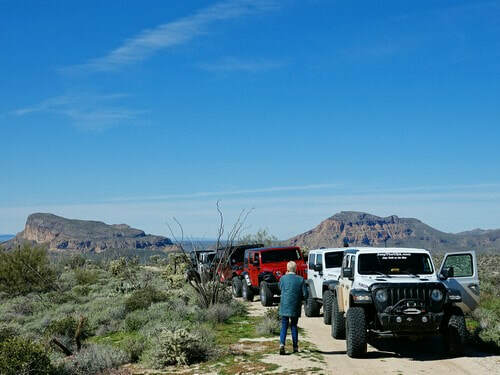 The main track shows an interesting trip through the area, but there are many more easy roads and washes to be run if you have the time. Trail is described west to east but can be done either way. ​We like to run this route west to east. 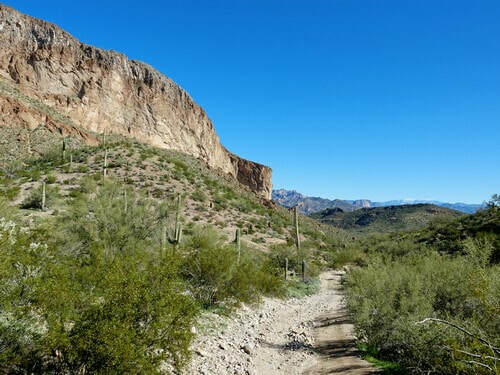 It crosses, then parallels, Box O Wash down to the Gila River, skirts the edge of South Butte and then travels a high road with fantastic views of the White Canyon Wilderness and Walnut Canyon areas. 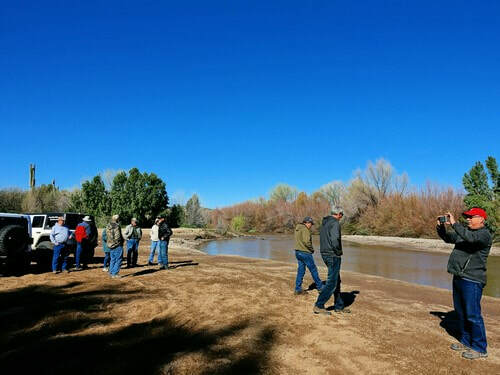 Cross Box O Wash then parallel it down to the shore of the Gila River, the opening photo of this page. ​Leave the Gila, go south of South Butte and return to the river in a different spot. 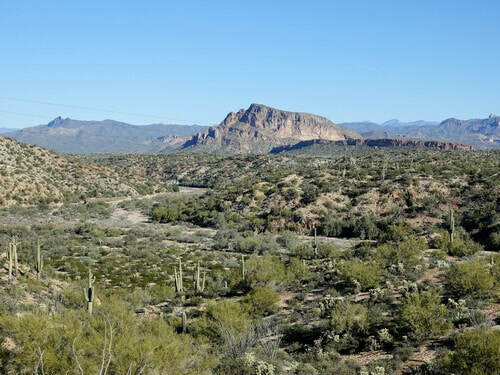 Continue east and enjoy a high road with views of North and South Buttes (photo) and of the Walnut Canyon area across the Gila River. 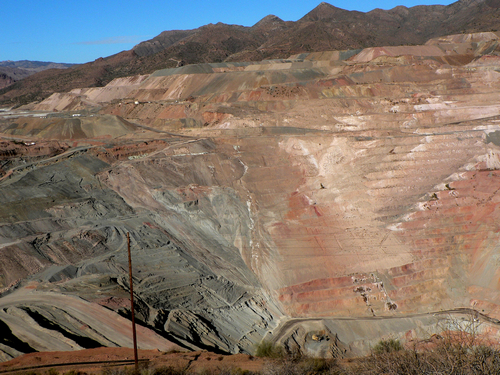 Finish the day returning via Superior with a stop at the Ray Mine overlook - a humongous open pit copper mine. Caution - the overlook seems to be open on a random basis.